After much deliberation, firstwriter.com is pleased to announce the winners and special commendations of its Thirteenth International Short Story Contest, which opened in May 2016 and closed on May 1, 2017. 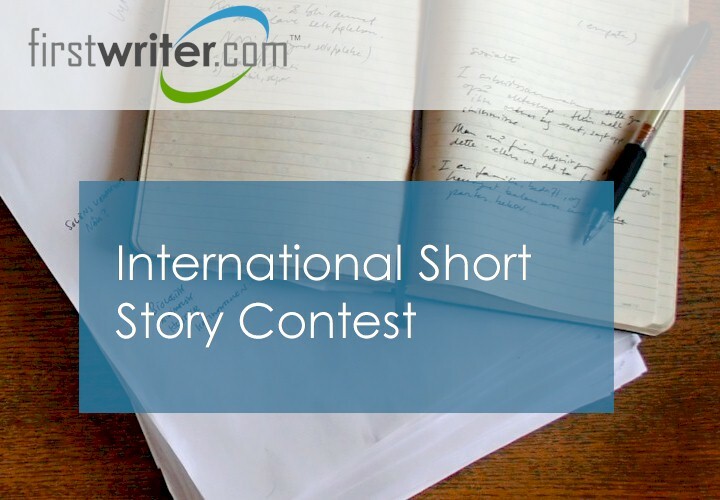 Niamh MacCabe of Fivemilebourne, Ireland, has been chosen as the winner of the competition with the short story "Nobody Knows the Shivering Stars", and wins £200. 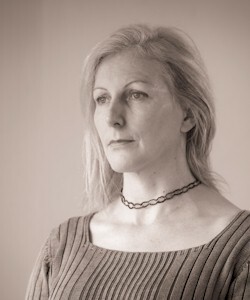 Born in Dublin, Niamh grew up in Paris, in north-west Ireland, and in Washington DC, where she graduated as a visual artist from the Corcoran School of Art. She worked in the Animated Film industry, returning to rural Ireland to raise her children. She began writing in 2014. The winning story can be read online at https://www.firstwriter.com/competitions/short_story_contest/winners/13thstory.shtml, and will also be published alongside all ten special commendations in the final issue of firstwriter.magazine, due to be published in Winter 2017/18. Alexandra Reza, United Kingdom, "Elizabeth James". firstwriter.com has just announced the launch of the penultimate issue of its long-running literary journal, firstwriter.magazine. 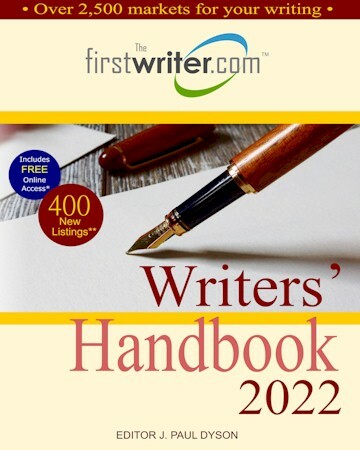 firstwriter.magazine has been published twice a year since 2002, making it probably one of the longest-running online journals on the internet. This 31st issue features the usual mix of quality fiction and poetry from around the world, plus the first chance to see not just the winning story from the Fifteenth International Poetry Competition, but also all ten Special Commendations. You can view the magazine by clicking here. If you submitted work for issue 31 you can check to see if your work has been included by viewing the magazine online (click here). If your work has not been included then, unfortunately, on this occasion your submission has not been successful. The submission window for the final issue of firstwriter.magazine has now closed, meaning that after 16 years of accepting non-stop rolling submissions of poetry and fiction from around the world, firstwriter.magazine is now permanently closed to new work. The final issue will appear in winter, 2017/18. Whereas everyone is welcome to write without a clue - you do have a computer, after all - unless you start with a strong foundation and build from there, your lack of understanding is going to cost you. Recently, a student of mine expressed strong irritation when I suggested she learn to punctuate. Yes, I really am that annoying person. Well, the next time I went through her writing, I restrained myself from spending the time and effort on such minor matters as how her sentences were put together. I should simply presume people will be happy to pay for an edit rather than learn some of the basics of writing. I thought I might start here with the sentence, really for a reason that has to do with punctuating dialogue - the issue on my mind right now. Why? Because while line editing, I've found so many examples of a certain glitch that boils down to a mere misunderstanding of what a sentence is. Every author and every publisher wants to sell as many books as possible. Each may try a variety of tactics as well as resort to conventional means of publicity, but results often fall short of expectations. It is one reason why publishers make significant profits from only a small fraction of the books they publish. And the vast numbers of authors cannot count on royalties to support themselves. What to do? Here are several examples that have helped publishers increase the quantity of sales and have even helped self-published authors make money from their books. "We want to see your visions, hear your voices and be moved, thrilled, scared and engaged by your storytelling." From its founding, Gulf Coast has kept its home in Houston, Texas. Its mission to elevate diverse voices from across the globe has always been inspired by the multiplicity and vibrance of the community there. As Houston begins to recover from Hurricane Harvey, Gulf Coast looks to the many artists and writers who have already begun the difficult work of rendering the storm and its aftermath. Gulf Coast wants to provide a platform for these voices. Starting now, they are inviting submissions in response to Harvey. There is no reading fee and accepted work will be published on the Gulf Coast blog. Solitude—whether alone on the road in a car, train, motel room, or a forest trail, or even secluded and tucked away in your home, whether it’s a welcomed moment of peacefulness or a lonely state of despair—times of solitude shape us, recharge us, and break us down to our essence. Sometimes we choose to step away from the world. Sometimes the world breaks us and casts us aside. In those moments alone, if we make the choice to continue and create, true artists are born. We cross a border we cannot uncross and heal through our words, finding ourselves—and sometimes finding new selves in the process. As Hemingway said, sometimes we’re strong in those broken places, and sometimes we’re not. Sometimes that jagged broken part affects us forever afterward. The Wigtown Book Festival is upon us later this month (22 Sept to 1 Oct 2017). 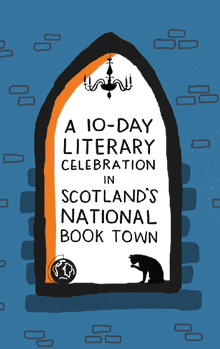 This year's programme contains a host of literary goodies - from Andrew O'Hagan, Bella Bathurst, Iain Sinclair and Andrew Greig (all Sat 23 Sept) to the award-winning Kapka Kassabova (Sun 1 Oct), Dame Denise Mina (Sept 30), Chris Brookmyre (25 Sept) and former Guardian foreign editor Charlie English's acclaimed The Book Smugglers of Timbuktu (Sat 30 Sept) . 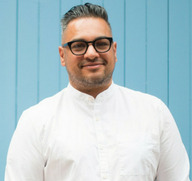 The creators of The Good Immigrant, Nikesh Shukla and Julia Kingsford, are launching a crowd-funding campaign forThe Good Journal - a quarterly literary journal that will showcase UK BAME writers and lay the foundations for a new literary agency to champion under-represented voices. According to Kingsford, the idea for the journal came about following the response to The Good Immigrant, which published exactly a year ago today (22nd September), and has now sold almost 50,000 copies across all editions to date. Founded by Alice Curry in 2014 to publish children’s books by authors and illustrators from diverse cultural backgrounds, London-based Lantana Publishing has garnered impressive accolades during its first three years. The publisher was shortlisted for the Bologna Prize for Best Children’s Publisher of the Year (Europe Category) at the 2017 Bologna Children’s Book Fair, and earlier this year Curry received Britain’s Kim Scott Walwyn Prize, celebrating exceptional women in publishing. Now Lantana is entering the American market with the release of four picture books this fall, which clearly reflect its core mission. Distributed by Lerner Publisher Services, Lantana’s debut U.S. list features the work of authors and illustrators whose backgrounds are rooted in an array of countries. 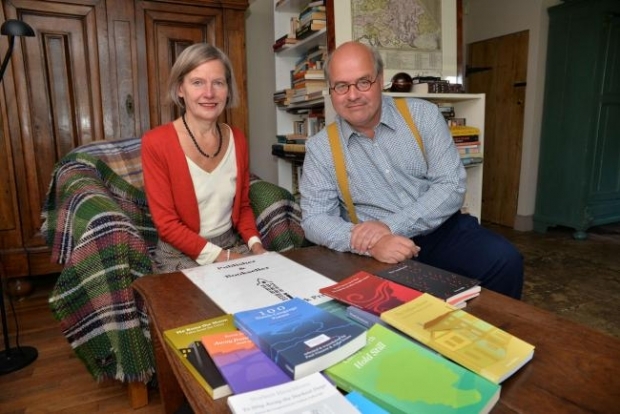 A PUBLISHER based in Malmesbury has launched a poetry competition this autumn, asking entrants to discuss the topic of migration. Bernadette Jansen op de Haar, who moved to the UK from the Netherlands in 1983, founded Holland Park Press in 2009 specialising in giving new English-language authors a chance to be published as well as promoting literature from her homeland. Authors wishing to submit should first try and publish a short piece through associated magazine. Particularly interested in work that builds on the archival narrative of the press and magazine, and that challenges and subverts the usual notions of author vs book; fiction vs poetry; text vs image - particularly collaborative, anonymous and self-authored art/text hybrids. Not interested in straight up story-telling or verse poetry. 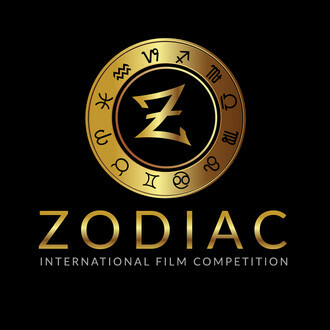 Submit by email only. See website for specific agent guidelines and contact details, and query one agent at a time. Response not guaranteed unless interested. A not-for-profit online global literary magazine. Our mission is to create a space for writers and artists to share their passion and love for fairy tales as much as we do. We are dedicated to publishing new fairy tales as well as re-told classic fairy tales. In the first part of my look at interactive fiction, I outlined IF’s roots in early computer gaming, and its revival through engaged communities and innovative producers. 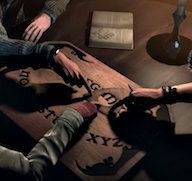 In this follow-up, I’m going to look at the future of the form - technological advances in voice, language processing and AI that could give interactive fiction greater commercial and creative traction within mainstream publishing. 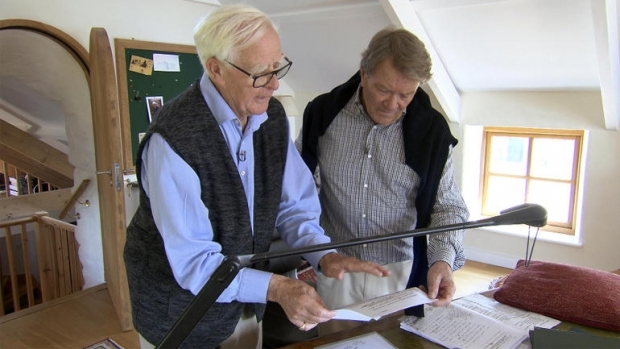 Famous spy novelist John le Carré shares his writing tips with 60 Minutes, including how he avoids "fuzzy endings” and why he makes verbs do all the work. 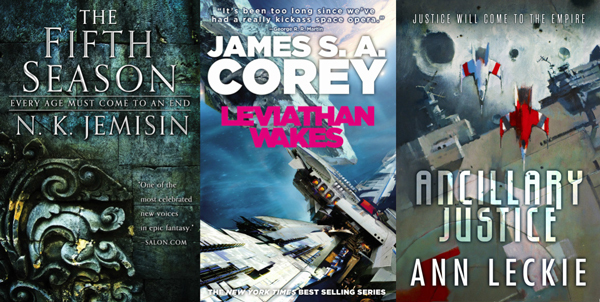 In spite of a booming YA market and the high-budget heaven of the television and film adaptation—all of which share a pronounced interest in dragons, Death Stars, and dystopias—the book industry’s science fiction and fantasy market has remained, overall, mostly flat.